*Price Match Policy: The same clock must be on sale and available from a website or shop located in the United Kingdom. Price match cannot be done retropsectively so please contact us before ordering. All clocks & barometers are guaranteed against mechanical failure for at least one year. All Hermle, Kieninger & Comitti clocks and barometers come with a 2 year manufacturers warranty and for clocks priced over £495 a further years warranty is offered exclusively by Glenbryde. See below for details. This warranty is provided in the following way. At the point that the manufacturers warranty expires Glenbryde will provide a further full year warranty against mechanical failure. 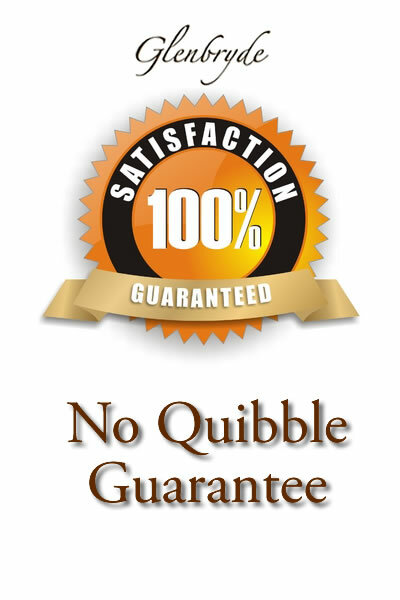 This guarantee is in addition to any statutory rights which you may have. Cover for damage is not provided due to negligence, mishandling or attempted repair by anyone other than Glenbryde. The cost of returning the clock for warranty repairs will be met by the customer. All antique clocks which have been overhauled are guaranteed for at least 1 year. Please see each product description for the details of the guarantee.